The authors say their book is for boomers and older people looking for meaning in life. 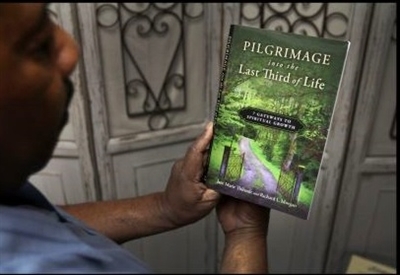 In their book, "Pilgrimage into the Last Third of Life: 7 Gateways to Spiritual Growth," published by The Upper Room, Rev. Richard L. Morgan and Jane Marie Thibault offer professional expertise and insight, as well as their personal experiences, to help people navigate their elder years with purpose and a godly perspective. The pair, colleagues and friends for a number of years, refer to themselves as the "bookends" of aging, representing two different generations. Thibault and Morgan say reaction to the "Pilgrimage" book, published in 2012, has been very positive. They recently completed a Leader's Guide for using the book in small groups. It is available on Morgan's website, www.richardmorganauthor.com. *This story was originally published in Interpreter Magazine.